One of the principles of designing slides is to remove any element that is not of any benefit to what is being spoken about at the particular moment or as I like to call it “Cut The Fat”. This includes logos, your name or contact information. 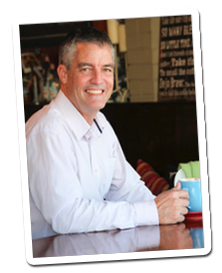 However with the audience having the ability to connect with you or even make comment or ask questions during your presentation via social media it may be advantageous to continually display contact information such as your Twitter handle throughout the presentation. Other information that may be displayed is a specific hashtag where you can post and the audience can search for information supporting your presentation. I personally have always been against putting this type of information on every slide. I have had a preference of including this type of information on the opening and closing slide only, until I saw the concept of the belly band. I cannot claim to have come up with this and must give credit to Julie Terberg where she was mentioned in a comment on Craig Hadden’s blog. 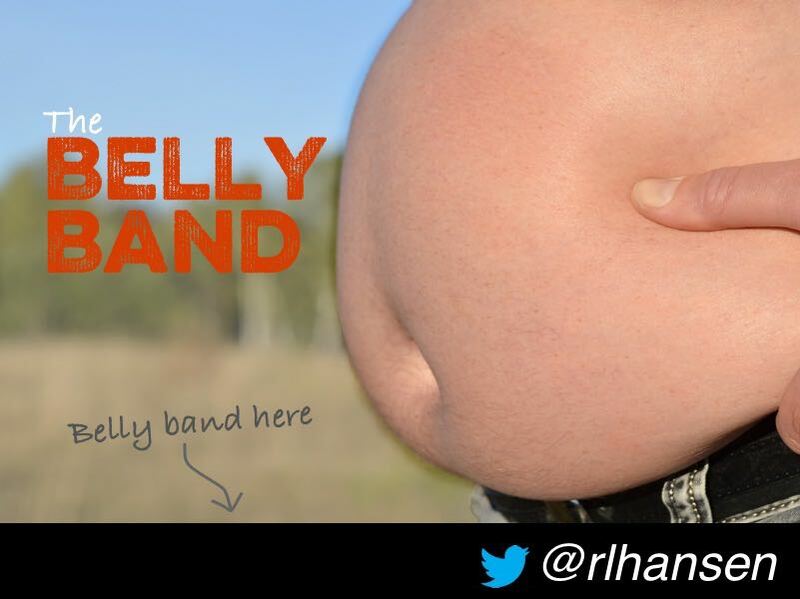 The idea of the belly band is to display a small amount of information such as your Twitter handle and make it look like it is separate from your slide. In the example I have displayed here it looks like a black band, however when it is projected onto a screen the image will look like it is is removed from the contact information. 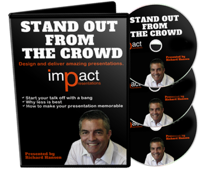 This will still give your slide the crisp, clean look without being cluttered with additional elements. The other advantage is that it will give your slide the “widescreen” look and feel that is becoming more popular. This is especially if you are designing in the standard 4:3 aspect ratio. Thanks for linking to my blog, Richard. I’d not thought of using a belly band this way, because I think of them as being in the middle of the slide (to bind content elements together). But the photo you chose fits perfectly with your use of the term! I could not find any original material on this other than comments from your blog. This is how I interpreted it so as an element such as a twitter handle do not look like they are a part of the slide. For me putting it in the middle is splitting the slide and including an element that should not be there.